I will start off by stating that I am not a mushrooming expert. At all. They call it mushroom hunting for a reason, not mushroom harvesting. Hunting implies not only do you have to look for them, but there is an element of danger, too. 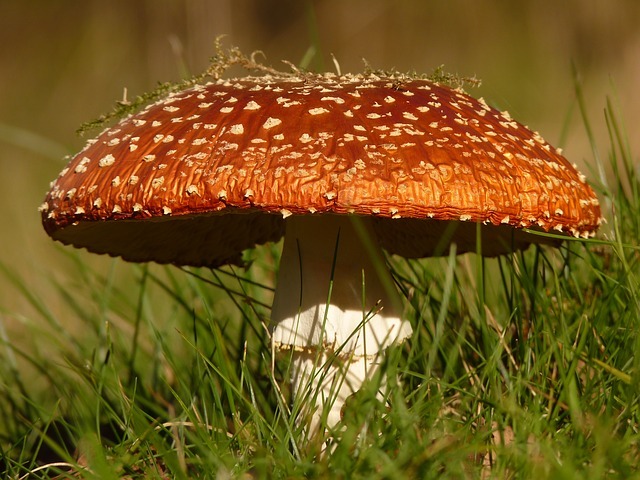 It is unwise to hunt for mushrooms unless you are properly trained in the identification of mushrooms, preferably from one-on-one instruction in the field with an expert or mycologist – that’s a mushroom scientist. There are so many “look-alikes” out there; those poisonous mushrooms that look just like a safe and delicious one, except for that one little thing. There are a lot of “one little things” in life such that if you neglect them, they’ll come come back to haunt you. Mushrooms are like that. 1. Cooking a mushroom will make it safe to eat. – Ummm….No. Cooking and heating can do a lot of things, like denature peptides and proteins – common poisons and venoms – but not so much with mushroom-based poisons. You’ll read later this week about a drastic poisoning that occurred after cooking and consuming mushrooms. 2. Poisonous mushrooms taste bad. – No. There are safe mushrooms that taste like crap, and poisonous ones that taste good. That’s how people are able to actually consume enough to become ill. If they tasted bad, I’d like to believe that people would stop eating them. Poisoning victims often claim that the mushrooms tasted fine. – If you go by this and assume that non-pointy capped mushrooms are safe, you’d be taking the risk of killing yourself. Just look at the “death cap” mushroom, Amanita phalloides. See, not pointy. It’s not called the “death pointy cap”, now is it. 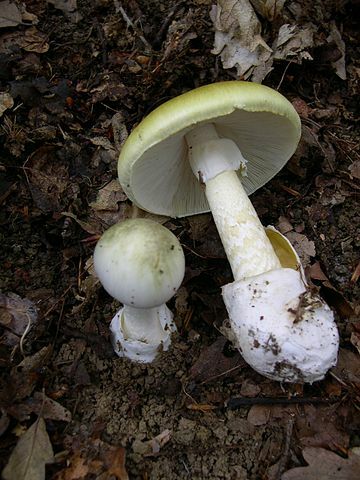 And the name “death cap” is well earned, so yeah, it’s poisonous. 4. White mushrooms are safe to eat. – Really? That “death cap” looks pretty white to me. – Same thing. Look at the “death cap”. No pretty colors there. 6. Insects stay away from poisonous mushrooms. – No. Insects will lay eggs and crawl around just about anything. – I don’t even know how to respond to this one. All sorts of no. The point of all this is to show that there is no simple “test” to distinguish edible from poisonous mushrooms. Doing so can only be done by careful analysis of physical characteristics, area and region of growth, and season – preferably by an expert. If you feel like you want to explore the realm of mushroom hunting, a good place to start would be the North American Mycological Association. Join a local mushrooming club! And if you think you have been poisoned, stop reading, put down the internet, and call your local Poison Control Center (the number is stored in your phone, right? No? It takes less than a minute. I’ll wait.) or the American Association of Poison Control Centers at 1-800-222-1222. So stay safe, and check back on Tuesday and Thursday for all sorts of mushroom poison/science/history goodness. Thursday: Coprine: Alcohol Poisoning From Mushrooms? Tags: mushroom, myths, poison. Bookmark the permalink. Excellent advice from an even more excellent chemist!